Come join the Celebrity Homes and Rodeo Drive Shopping Tour to see where the stars live and visit the places where the rich and famous come to play. On this 4-hour tour, you'll get a chance to see some of the fanciest neighborhoods in the area, visit sites like the Chinese Theater, Hollywood Walk of Fame, and shop around at boutiques like Prada and Chanel. This is a combination tour. 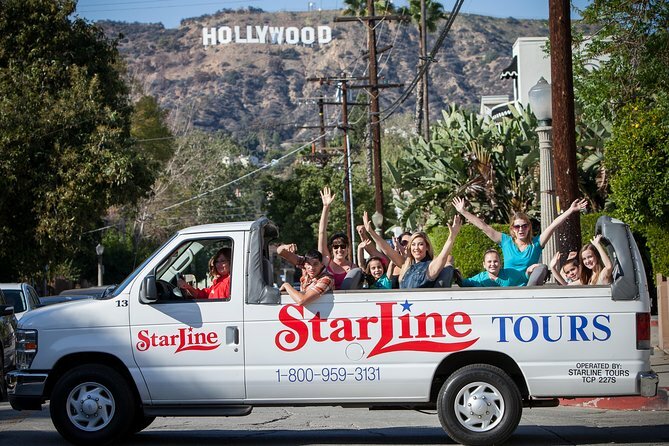 Celebrity Homes Tour is operated by a minivan that seats a maximum of 12 guests and operated by our Tour Guides. The Narration is only in English. This part of the combination is 2hrs roundtrip.The Rodeo Drive shopping tour is accessible by taking our CitySightseeing Hop-on Hop-Off service which is a double-decker bus. Daily starting at 10 am through to 4.30pm during the winter months and 10 am until 6.00pm during the summer months. Onboard, we offer a recorded narration in 9 Languages.The Celebrity Homes Tour is 2hrs and the Hop-on Hop-Off service is a 2-hour full route on the Red Line. For a truly unique L.A. experience, join us on our Celebrity Homes & Rodeo Drive Shopping tour, a three-part adventure that combines our signature Movie Stars Homes tour, Rodeo Drive Shopping tour, and Double-Decker fun bus tour all for one low price! During the Movie Stars Homes Tour, you'll visit the past and present homes of more than 40 of the world's most famous celebrities. Be sure to bring your camera – you never know who might show up! This tour operates in a custom-built 13-seat open-air mini bus, led by informative guides with true insider information about all the fascinating sights on the itinerary. In addition to celebrity homes in the city's ritziest neighborhoods, you'll also visit the legendary Sunset Strip, the Hollywood Walk of Fame, and the historic TCL Chinese Theatre. On the Rodeo Drive Shopping tour, you'll head into the heart of glamorous Beverly Hills, where you'll cruise down Rodeo Drive and get the chance to browse in famous boutiques including Gucci, Prada, Louis Vuitton, Chanel, Tiffany's, Harry Winston jewelers, and Bijan – often referred to as the world's most exclusive store. People-watch and star-gaze in Rodeo Drive's cafes and restaurants and don't forget about the Beverly Wilshire Hotel, featured in the hit movie Pretty Woman. Finally, you'll head back to Hollywood on the Double-Decker tour aboard an open-air double-decker bus. Audio commentary available in nine different languages delivers fascinating insights about the many attractions along the way.